To get PowerShell’s remoting capability working fully, you need an extra ‘shell’, which is supplied by the WinRm. Even after the WinRm service install completes successfully, you need to tweak its config settings before the remote sessions become operational. 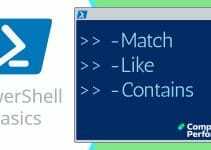 WinRm is the underlying engine or resource for PowerShell remoting; it is also the name of the additional executable that you need to download from the Microsoft Connect site. Once installed, you can access WinRm directly from the ‘DOS’ command line, or better still, check and amend settings with PowerShell’s own WSMan: provider. Rather than a succession of short steps, we could use one longish path statement. Dir displays the TrustedHosts settings stored in the client sub-folder. Please note: cd wsman fails, we need that colon. TrustedHosts Goal: To set, or change TrustedHosts so that any machine can connect remotely. A more restrictive approach would be to set the value for TrustedHosts to a named machine. What this does is start the WinRM service and sets the startup type to Automatic. It is also supposed to enable a firewall exception for WS-Management communications. 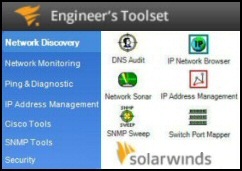 However, Guy believes that sometimes it lies, and you need to configure the firewall manually. Enable-PSRemoting also creates a listener to accept requests on any IP address. One common problem is ERROR: Access is denied. Solution: Launch PowerShell with elevated rights, in simple language: Run as administrator. Try setting TrustedHosts * on BOTH machines, that is the machine acting as the client as well as the server to which you are trying to establish a session. Remember that for once this is a plural TrustedHostS. Keep your eye on the difference between the namespace WSMan and the Windows service winrm. Firewalls, PowerShell and "The rpc server is unavailable"
Security experts will hold up the hands in horror at this suggestion, but if you get the error message: "The rpc server is unavailable", then I suggest that you turn off the firewall on both machines. Now if that works, then great, but follow-up by testing which ports are involved (135, 445), then try configuring the firewall with exceptions that allow PowerShell remoting, but retain firewall protection from other threats. See how to disable a Windows 8 firewall with a Group Policy. P.S. I have read that Enable-PSRemoting is supposed to take care of the firewall settings automatically, but in my experience this was not always the case. To make sure that PowerShell’s remoting is not restricted we often need to check the client settings. For this we can use cmd and WinRm, or better, PowerShell and WSMan. A common use of this technique is to change the TrustedHosts from nobody to everybody.